The views are stunning, the villages are picture-perfect and there's a farm shop around every corner – the Cotswolds is a place that seems designed for good camping and we love it. Throw in the fact that it's some of the best walking country in the UK and has a host of superb pubs and restaurants and you quickly realise why the Cotswolds is one of the country’s most popular places for rural holidays. From rustic farm campsites to luxury glamping abodes, there's something in the Cotswolds for everyone. Eco-camping for real. Cooking on an open fire. Unspoilt natural beauty. The limestone hills that make up the Cotswolds are famed for their beauty and the speckling of quintessentially English villages which are scattered among them. 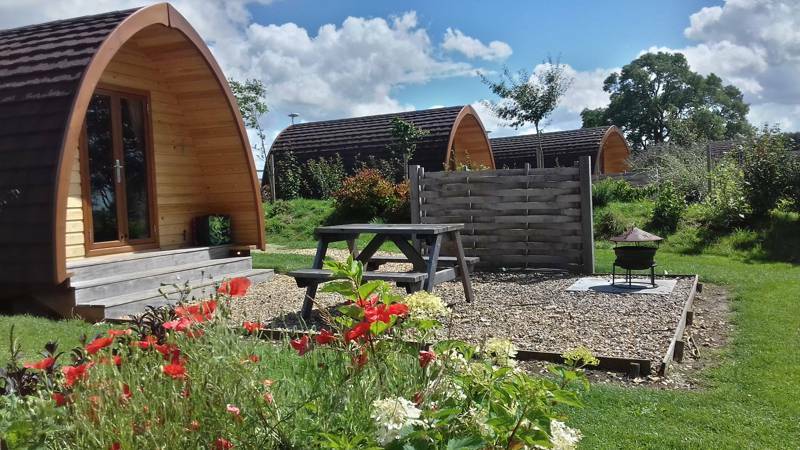 Including parts of Wiltshire, Gloucestershire, Oxfordshire, Warwickshire and Worcestershire, the Cotswolds are recognised as an Area of Outstanding Natural Beauty making the region a tempting destination for a camping or glamping holiday. Its location in central south-west England makes it easy to reach from many parts of the UK too – making it a destination that's as perfect for a weekend away as it is for a week’s holiday. There’s plenty to do in the area too from striding out on the Cotswold Way National Trail to watching wildlife on the Sherbourne Estate and from spending a morning exploring historic market towns to mountain biking down slopes at one of the UK’s newest bike parks. 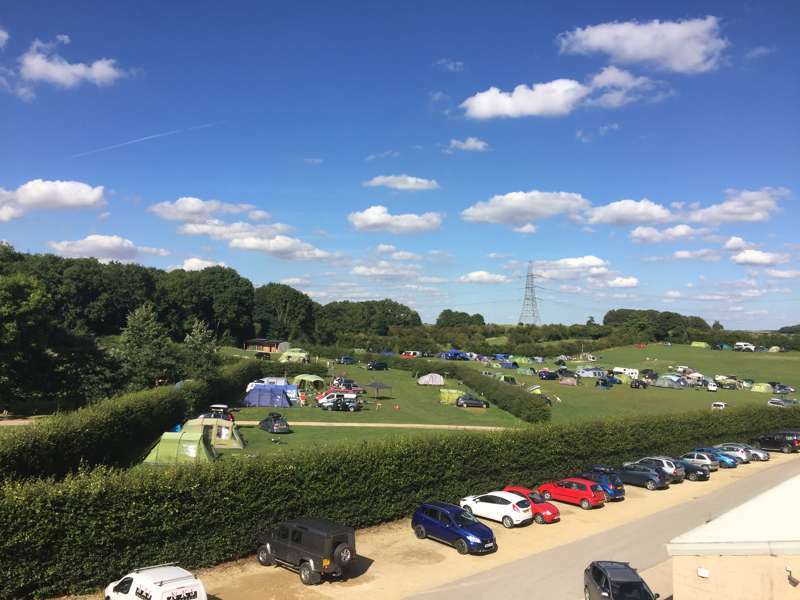 Camping in the Cotswolds offers the chance for a true countryside break and those looking for good campsites in quiet rural spots are in luck here. Campsites in the Cotswolds offer everything from traditional tent-only pitches to spruced-up, luxury glamping havens. To make it easier for you to find the perfect camping or glamping location, we’ve picked out the very best in the area and brought them together in this handy collection. Browse our selection of the best campsites in the Cotswolds now and book your next camping adventure online today. Glamping may be the buzzword of the decade, but for many campers visiting the Cotswolds, nothing beats a traditional night under canvas. Here at Cool Camping we know that for some people it’s just not camping unless you have your own tent and camping gear, set up the way that you want it. We've made our name recommending the very best small, independent, tent-friendly campsites that have a focus on the great outdoors and not on tarmac, toilets and static caravan pitches. We love camping in a tent and in the Cotswolds there are heaps of great campsites specifically aimed at traditional tent camping types. The Cotswolds has been associated with sheep and the wool trade since the Middle Ages so it’s no surprise that lots of the classic camping sites are on farms. You can pitch your tent in a meadow surrounded by the dry-stone walls that characterise the Cotswolds landscape and simply unzip the tent to feast your eyes on bucolic scenes. 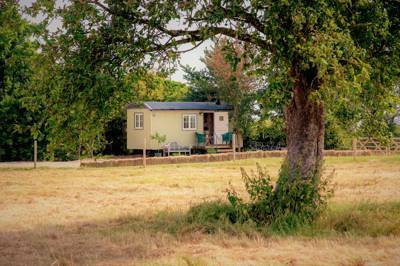 Some classic campsites are simply making use of a fallow field for a few months in the summer with composting toilets or temporary facilities blocks while others are the result of more serious farm diversification, where an area of a working farm has been transformed in to a more permanent camping ground with hardstanding pitches, electric hook ups and fancy facilities. 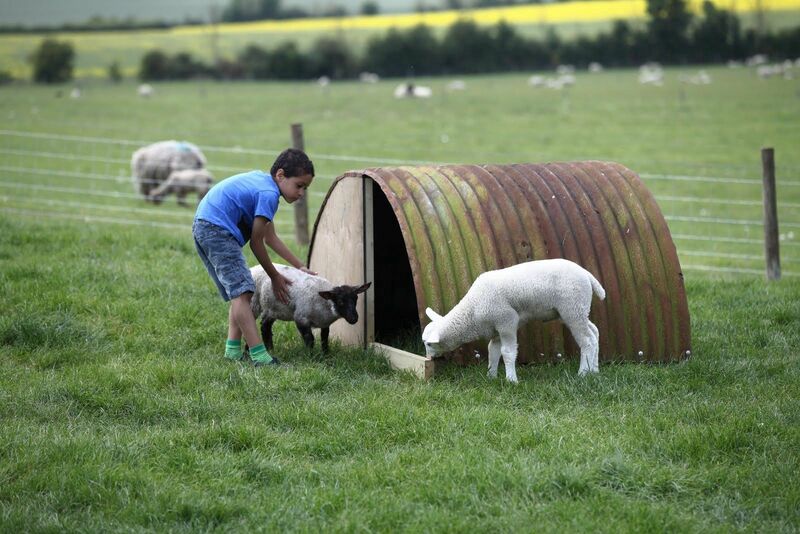 If it’s family camping in the Cotswolds that you’re looking for, those farm-based sites can be a real hit. Kids will love the chance to see farm animals up close and it can be a real education for them too. In fact, wherever you choose to camp in the Cotswolds, we’re confident that your kids won’t complain. Our experience is that kids simply love camping in all its forms. They’ll love pitching a tent as much as the pint-sized proportions of a shepherd’s hut or gypsy caravan. And then there’s spending all day outside, making new friends and exploring new places… camping is one big adventure. 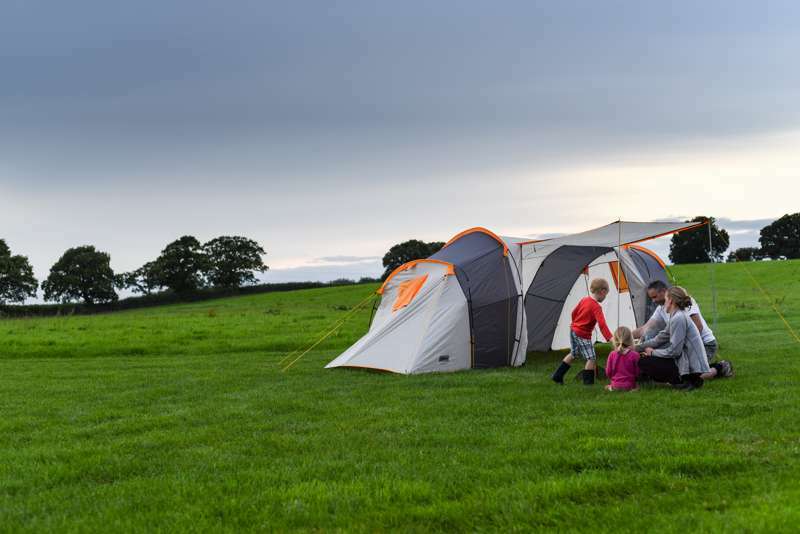 We know the Cotswolds is a great family camping destination because we've been there, tramping the footpaths, touring the farm parks and discovering the best of the area with our little ones in tow. In fact, we love family camping so much we wrote a best-selling guidebook about it and, when it comes to the Cotswolds, rest assured our tiny tots give it two thumbs up. If you're on the hunt for the best family campsites in the Cotswolds then you'll love the places recommended in our guidebooks and right here on the Cool Camping website. Don't fancy packing all the camping clobber? Looking for luxury living rather than tent dwelling? 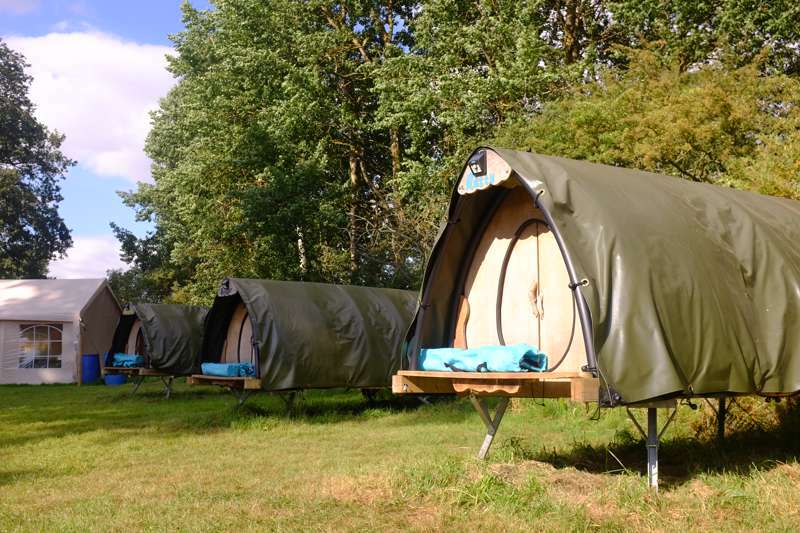 Well, you'll be pleased to hear that, across the Cotswolds, there are heaps of fantastic glamping sites that put your comfort at the forefront of what they do. From summer bell tents and family-sized luxury yurts to winter boltholes in shepherd's huts and even high-flying treehouses, there's something in the Cotswolds for every type of glamper. If you’ve been glamping before, you might have a good idea of what accommodation you’re after but if not the wealth of options can be overwhelming. Fear not though, here at Cool Camping we’ve seen it all and stayed in them all and can offer a little advice. If you are looking to test the waters ahead of taking the plunge and buying your own camping gear, you’ll want to keep as close to classic camping as possible; that will mean staying in a bell tent, yurt or other pre-erected tent. These are usually also the best-value glamping options and are perfect in warmer weather. 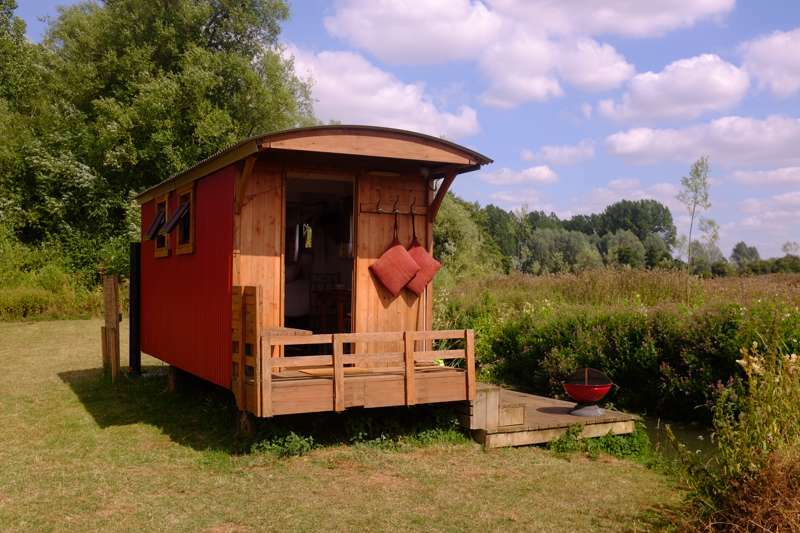 If you are looking for romance, what could beat a gypsy wagon or shepherd’s hut? Look out for cabins and huts that are parked out on their own in a secluded spot. And if you’re looking to treat the family to a really memorable holiday, go for something really quirky like a treehouse, tipi or a converted vehicle. Look out for places with log burners if you are camping outside of the summer holidays and check out the range of places with hot tubs if you want the upper-end of luxury for your glamping holiday in the Cotswolds. The Cotswolds is the largest of 46 designated Areas of Outstanding Natural Beauty in Britain. It’s rolling hills and warm-hued stone villages are its best-known treasures and it is geology that is the foundation of it all. The hills (or wolds) are limestone, rising from grassy meadows around the Upper Thames area to an escarpment above the Severn Valley where the rock is exposed. It includes limestone grassland habitat, ancient beech woodland and sunken lanes. The wolds are part of a seam of Jurassic era limestone that runs from Lyme Regis in Dorset to the North Sea and no prizes for guessing that it’s this rock that has been used as the main building material in the Cotswolds’ villages. Designated as an AONB in 1966, the landscape is recognised as nationally important and is protected for all to enjoy. Stretching to 790 square miles, the AONB is criss-crossed by 3,000 miles of footpaths and bridleways which help people do that. The Cotswold Way is the longest of the lot: a 102-mile waymarked national trail. It runs along the escarpment from the typically Cotswolds market town of Chipping Camden to the World Heritage-listed city of Bath on the edge of the AONB. Walking the entire route is a serious undertaking and requires a lot of planning but the trail passes some of the most beautiful villages and important historic sites so it’s worth donning your hiking boots - even if you only join it for a couple of miles. Set in the heart of England, The Cotswolds, famous for its honey-coloured stone and idyllic villages, has been tempting people out in to the countryside for decades. Go camping in the Cotswolds and visiting some of these charming spots is almost obligatory. You won’t want to miss the chance to see one of the prettiest villages in England, Bourton-on-the-Water, while you’re in the area. It’s an utter charmer, with a wealth of restaurants, tea rooms, attractions and shops as well as a river for you to enjoy a picnic by. The many attractive small bridges over the gently flowing River Windrush, which runs through the heart of the village, gives the town a Venetian feel and there are plenty of camping and glamping sites located close to this quaint village which make spending time here easy. It’s not the only one either: Burford, Chedworth, Bibury and Castle Combe are some of the other pretty villages that will have you reaching for the camera. And then there’s the timeless twin villages of Upper and Lower Slaughter. More attractive than their names suggest, a mile-long path between the two villages runs beside the River Eye, the perfect place to pause for a picnic and take in the beauty around you. Rose-clad cottages and old mills characterise the two villages where you can visit the tea rooms, craft shops and museums after your walk to embrace the full experience. If you’re enjoying your taste of idyllic middle England, there are yet more honey hues in the well-known market towns of Chipping Camden, Stow on the Wold and Moreton in Marsh. The Cotswolds has its fair share of palaces and manor houses, many of which are open to the public. Perhaps the grandest of them all is the lavish Blenheim Palace, a 17th-century baroque palace which was the birthplace of Sir Winston Churchill and is home to the Duke of Marlborough. You can step back a little further in history with a visit to Sudeley Castle. Nestled within the historic town of Winchcombe, the castle makes for another great day out for history buffs thanks to its award-winning gardens, 15th-century romantic ruins and guides to inform you of the castle’s fascinating history (not to mention a café). More royal gardens can be explored at the Highgrove Royal Gardens, part of the Highgrove Estate and home to the Prince of Wales and Duchess of Cornwall and Corsham Court, a former royal manor house with gardens designed by Capability Brown. For yet more impressive planting and a world-class collection of trees, visit one of the Cotswolds two arboretums: Westonbirt or Batsford. While the Cotswolds are famous for offering a taste of the quiet life there’s also action and adventure - if you know where to look. Apart from the many opportunities for walking, running and exploring, there’s the Cotswolds Water Park where watersports, open-water swimming and fishing are among the activities on offer and there’s the 417 Bike Park too where there’s mountain biking for all abilities. Families will love the Cotswold Farm Park where you can see farming in action and the Cotswold Wildlife Park and Gardens where there are more exotic animals on display. And if your camping holiday in the Cotswolds coincides with the Spring Bank Holiday, you could head to Cooper’s Hill for the bizarre cheese-rolling competition which takes place there every year. This age-old event sees competitors chase a Double Gloucester cheese down a steep slope with the winner claiming the cheese. The Cotswolds does not include any cities within its boundaries but there are some interesting cities and larger towns around its edges which you might like to visit including Cheltenham for its regency buildings, Bath for Roman and regency era architecture, Gloucester for its cathedral, Cirencester for its Roman museum and Stratford-upon-Avon for its connections to William Shakespeare. Cotswolds, Campsites in the Cotswolds, Camping in the Cotswolds, Cotswolds Campsites, Cotswolds Camping, Camping Cotswolds, Glamping sites in the Cotswolds, Glamping in the Cotswolds, Cotswolds Glamping sites, Cotswolds Glamping, Glamping Cotswolds, at Campsites in the Cotswolds, Discover the best of the Cotswolds with this stunning collection of campsites, specially selected by the experts at Cool Camping, from high, hilltop tent pitches to hidden woodland wonders. 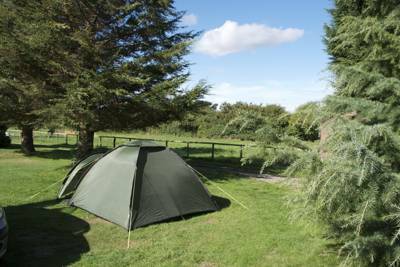 Find campsites and book online at the best price here.